'this discovering 6' is a contemporary quilted textile by Ruth de Vos. The artwork is hand-dyed, hand-painted, screen-printed, machine-pieced and machine-quilted by the artist. 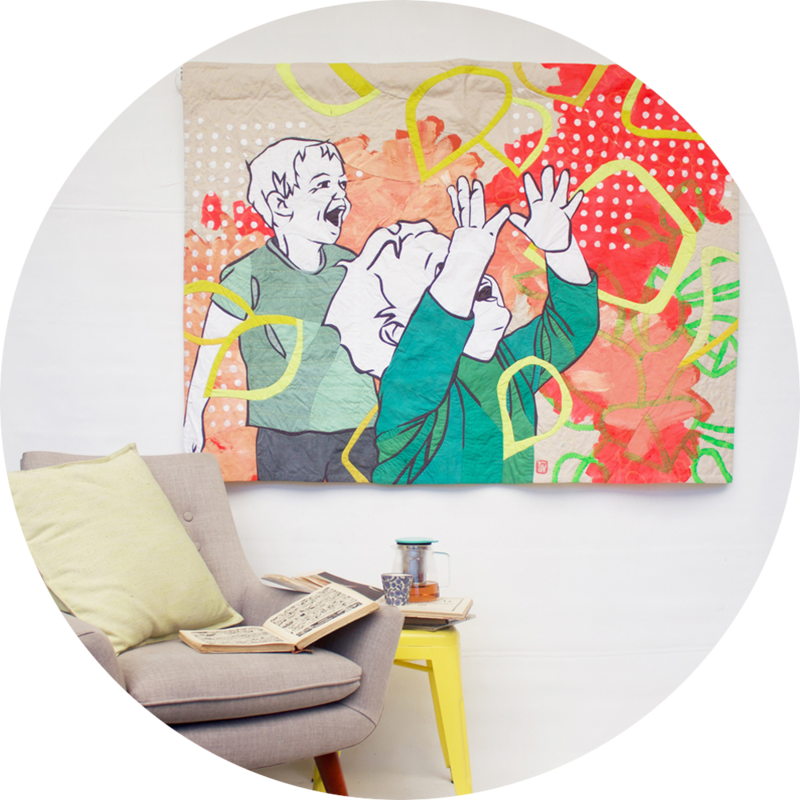 This artworks has a sleeve stitched onto the back for hanging purposes, and can be hung using a gallery-style hanging system, or with two screws in the wall.